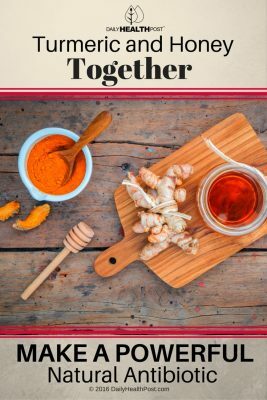 Turmeric is a rhizome in the ginger family. Its flavor and color add depth to Asian cuisines. Turmeric and honey, however, are an unstoppable force. The spice has been used for ages as a medicine to treat a vast variety of ailments but it’s only in recent history that science has examined its components for their contributions to human health. Since research began, over 5,000 studies have confirmed its healing abilities. For one, it has the ability to modulate genes and physiological pathways, supporting cell integrity, preventing DNA and RNA damage, catalyzing proteins and metal ions, and more. Implications for the treatment of various types of disease have shown turmeric to be a super spice. 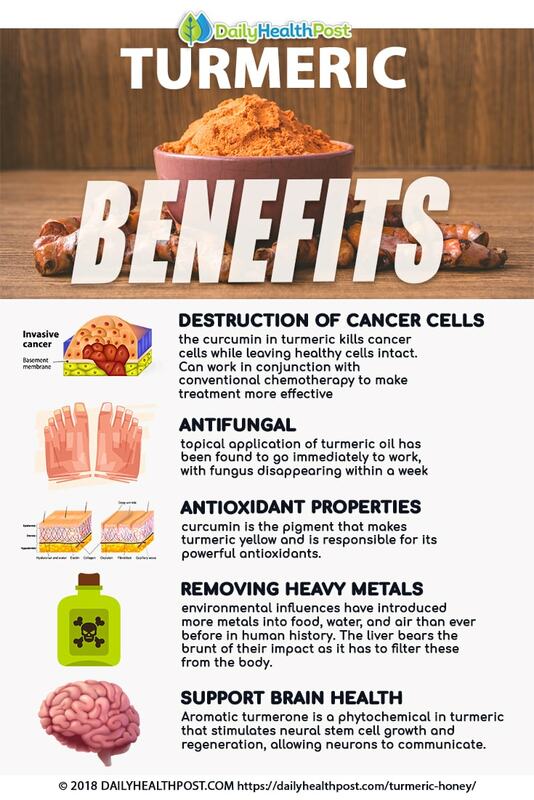 In the destruction of cancer cells – the curcumin in turmeric kills cancer cells while leaving healthy cells intact. Can work in conjunction with conventional chemotherapy to make treatment more effective (1). 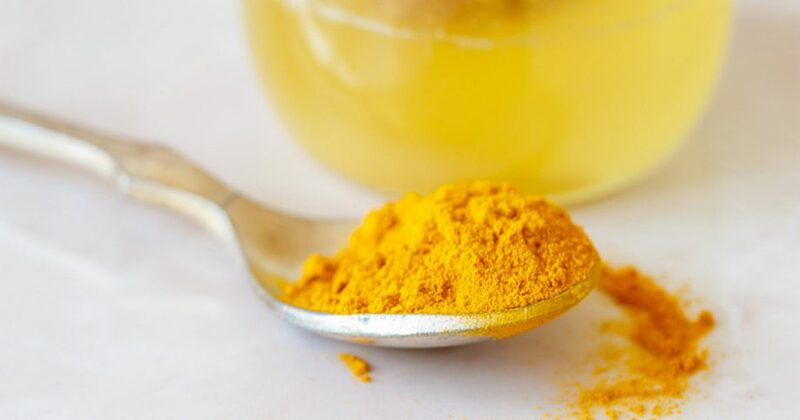 “We have not been able to find a cancer we can’t effectively treat in the laboratory with curcumin,” said Bharat Aggarwal, Ph.D., Professor of Cancer Medicine at the University of Texas M.D. Anderson Cancer Center (2). As an antifungal – topical application of turmeric oil has been found to go immediately to work, with fungus disappearing within a week (3). The spice is more potent than fluconazole, a popular anti-fungal medication. Plus, it’s very effective against Candida, a parasitic fungus (4). Via antioxidant properties – curcumin is the pigment that makes turmeric yellow and is responsible for its powerful antioxidants. Cell oxidation causes DNA damage, a primary precursor of diseases such as cancer, atherosclerosis, and neurodegeneration. Turmeric reduces inflammation and reduces oxidative stress (5). In removing heavy metals – environmental influences have introduced more metals into food, water, and air than ever before in human history. The liver bears the brunt of their impact as it has to filter these from the body. Turmeric stimulates the production of bile, improves gallbladder function, and can help regenerate liver cells. To support brain health – the genesis of neurodegenerative disease is inflammation. Potent anti-inflammatories in turmeric counter inflammatory responses caused by foods, stress, and the environment. Aromatic turmerone is a phytochemical in turmeric that stimulates neural stem cell growth and regeneration, allowing neurons to communicate. Turmeric is being studied for use as a treatment for Alzheimer’s disease and damage caused by stroke (6).